nail and blow. Repeat until you get your desired look or amount . Like I said before you can do this design with any polish in your collection. Here's a splatter design I did in September for PCOS Awareness month using just teal and white. Here's a design I did using 5 different colors based off a shirt I own. My son did my index finger so if you have kids let them help. Yup, so simple a toddler can do it. 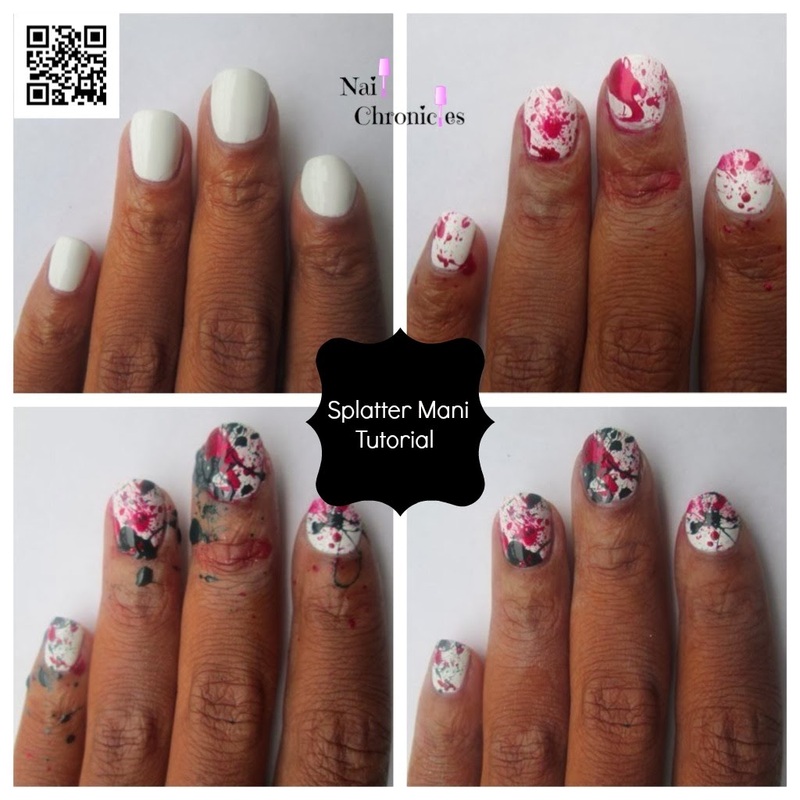 Tag me at #nailchronicles on IG or twitter if you try a splatter design. Or post your completed mani on my FB page HERE. Happy MANICure Monday!